Somewhat confusingly, Port Adelaide is actually not part of the city of Adelaide, the capital of the state of South Australia. Port Adelaide was built to serve as the port for the city, which actually sits a few km/mi inland from the Gulf of St. Vincent. Built on what were originally mangrove swamps, the port is one of the largest in Australia by freight volume and key to the country's agricultural exports. 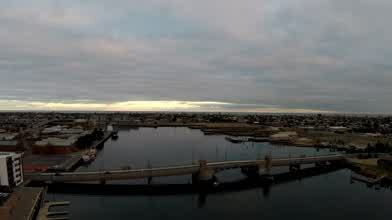 In this video, Eye Fly Drones captures this important seaport from a bird's eye perspective.